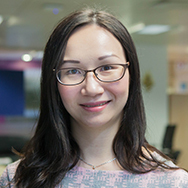 Irene joined Duke CE in March 2013 to support office operations and Managing Directors in the London office. Prior to joining Duke CE, she worked for Cathay Pacific Airways for nearly 7 years as a Personal Assistant to a Manager and Base Coordinator. This job gave her exposure across various functional areas including payroll, finance, human resources and administration, cabin crew recruitment, event organization, cabin crew base operation, and ticketing. Irene has lived in Mauritius, the United States and Hong Kong in the past and now considers the United Kingdom her permanent home. She is a native Cantonese speaker who is also fluent in Mandarin and English, and conversational in French and creole. She is married and has a beautiful little boy who is the biggest joy of her life.